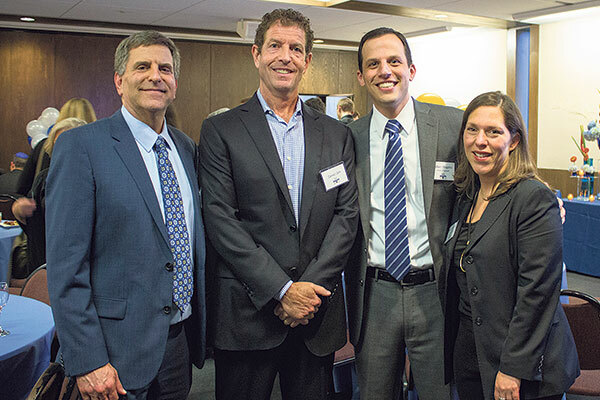 Jeffrey Landau, immediate past chair of the GOA board of trustees, left, joins former student and school benefactor Daniel Och, head of school Adam Shapiro, and current board chair Atara Jacobson, class of ’87. All year, Golda Och Academy is involving its 550-plus students in activities to celebrate its 50th anniversary, but on June 9, the party was for grown-ups: former students, staff, and parents — past and present — and benefactors. In the two videos shown and in the speeches delivered, speakers referred with admiration and gratitude to Golda Och, the educator who started what became known as the Solomon Schechter Day School of Essex and Union. It was renamed in her honor after her passing in 2010. Addressing the 450 people gathered in the sanctuary, her son, school benefactor and past student Daniel Och, drew a wave of laughter when he described himself as “not voted one of those most likely to succeed.” He did succeed, however, becoming an investor and giving the school — together with his wife, Jane — a challenge gift of $15 million in his mother’s memory. Adding to the nostalgia for the attendees at the June 9 gathering was a mini-“museum” of objects from the school’s history. It included class photos, a safety helmet from the recent campus renovation, and the first mimeographed copy of the school newspaper. It was another “leap of faith” in the long series of steps leading to the current strength of the school. The latest of those is its Dr. Lynne B Harrison STEM Center, which opened last October. The setting for the event was apt for another reason. The Och name is also honored at Beth El. 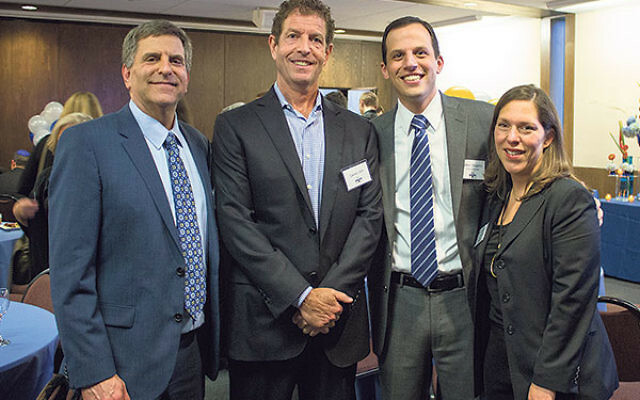 In appreciation of a $2.5 million gift from the children, Daniel, Sue, and Jonathan, who grew up as members there, and their respective spouses, the synagogue was named the Golda and Michael Och Campus of Congregation Beth El in 2011.